Cricket Australia chief Kevin Roberts insists David Warner could still return to the Australia side, despite further potentially damaging comments from his ex-teammates. Former Australia vice-captain Warner, along with his then captain Steve Smith and batsman Cameron Bancroft, are serving bans for their part in the ball-tampering scandal that hit cricket last year. Both Bancroft and Smith have given revealing interviews in recent days that have shone more light on the incident in South Africa in March that has rocked the sport in Australia. Cameron Bancroft has revealed David Warner suggested he should tamper with the ball during Australia's third Test match against South Africa, in an interview with Fox Sports Australia. 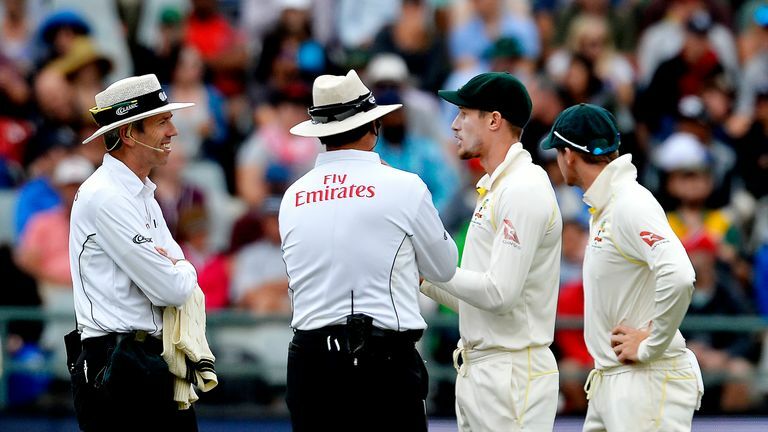 Bancroft claimed he went along with the plan to use sandpaper to rough up the ball in a Test against the Proteas in order "to fit in" and because he "didn't know any better", while Smith has said he turned a blind eye to the plan, which a Cricket Australia investigation concluded was instigated by Warner. Roberts still sees a possible future for Warner at international level, however, and says the latest comments in the media by Bancroft and Smith would not necessarily have a detrimental effect. "I don't know if it does [make it harder for Warner]," Roberts told SEN sports radio in Melbourne with regard to the comments in the media by Smith and Bancroft. "Our focus is to work with Dave, who I spoke to about three days ago, on his integration plan when he is eligible for selection again. Darren Lehmann, who was Australia head coach at the time of the ball-tampering incident but who stepped down in the aftermath, said Bancroft should have talked to him or other staff if he was affected by the pressure. "He could've and should've come to us," he told Macquarie Sports Radio. "At the end of the day it was a mistake, we know that. A severe mistake made by the guys and a lot of people have suffered one way or the other through that. "We know it shouldn't have happened, but it did." Meanwhile, former Australian wicketkeeper Adam Gilchrist, who conducted the interviews with Bancroft and Smith for Fox Sports, urged Warner to give his side of the story. "There's no doubt Davey Warner would be feeling so isolated at the moment," said Gilchrist. "I would encourage Dave to come out wherever and just be honest and as open as you need to be to get back to playing cricket."